My family seems to spend a fair amount of time on vacation walking through Disney parking lots. When we arrive at Hollywood Studios, we have a 100% track record of being parked at nearly the absolute far end of the row. 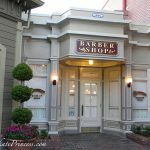 Other than wonder what you forgot to bring with you in your backpack, what else is there to do as you walk down the isle but look at cars? 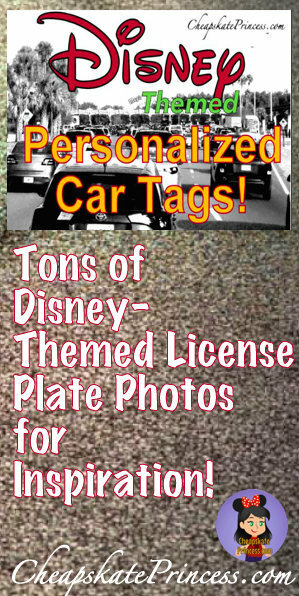 More specifically at car decals and license plate tags. Next time you are walking to the trams or the parks, after you make note of where you parked, check out the car tags. 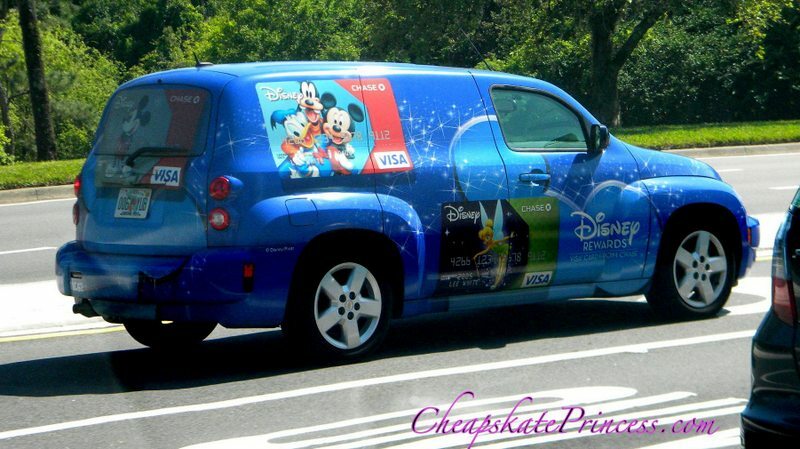 Have you ever decorated your car to show the world your Disney love? 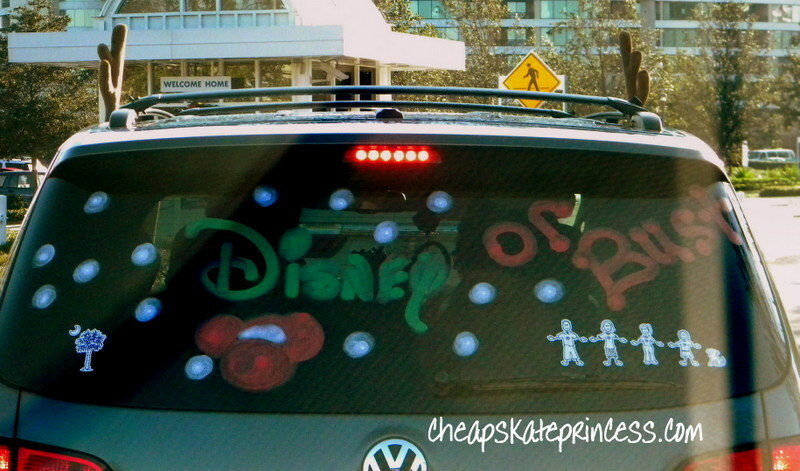 The cheapest way to Disney-decorate your vehicle would simply be to use window paint, which would probably cost under $5. 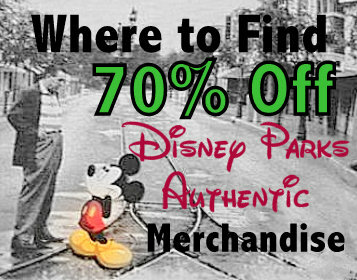 And there are all sorts of Disney stickers you can purchase. 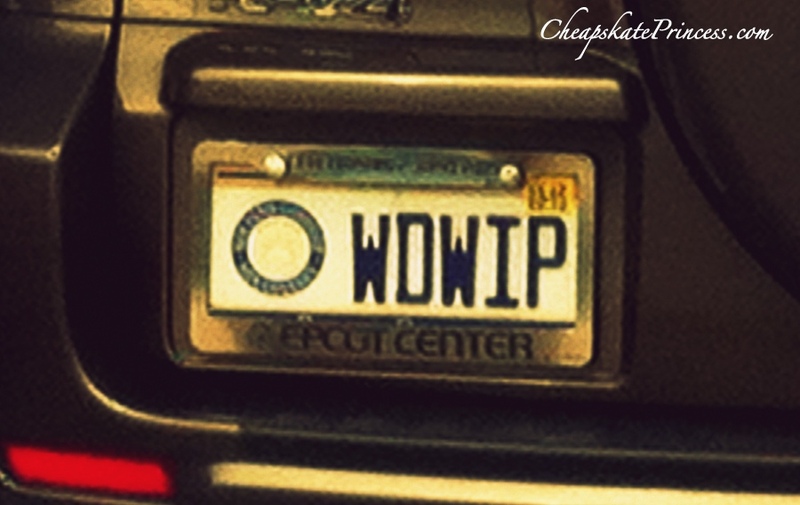 A less messy and more semi-permanent idea would be a personalized license tag, which some people also call vanity plates or designer tags. 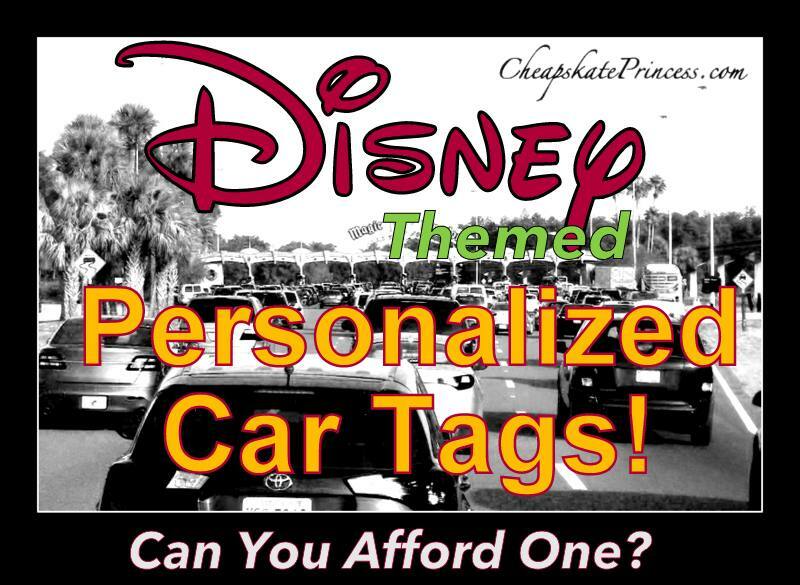 Ever wondered how much those personalized tags cost? After doing some research, the answer is not as simple as a standard price for everyone; the cost for your tag is going to vary from state to state. Some tags allow 2-6 numbers or letters, while it looks like other states will allow up to 7 characters. 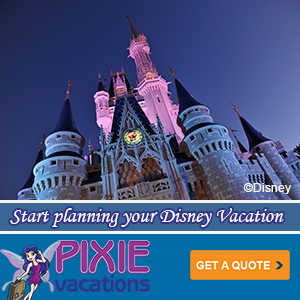 All states seem to require you first pay the standard registration fees based on your type of vehicle. These are some various examples of the fees for personalized tags. 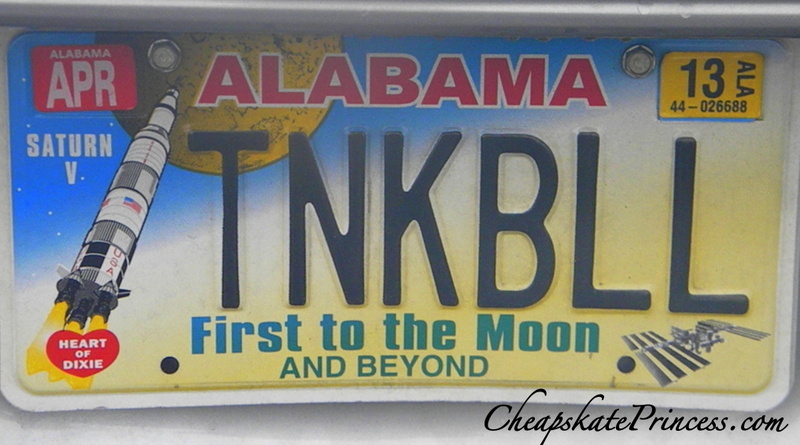 In Alabama, you’ll pay an additional yearly fee of $50 for passenger cars or motorcycles. 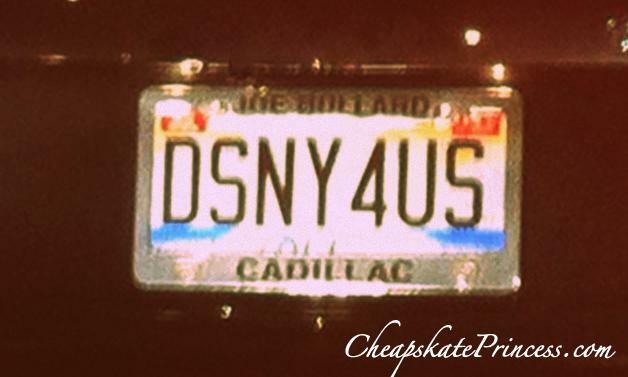 California has 11 tags that can be personalized with a different price for each tag. In Colorado, there is an $85 application fee plus a $50 fee for renewal. 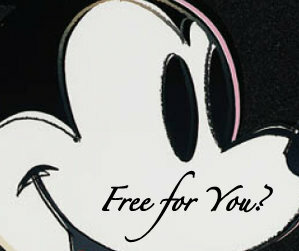 Compare this to a regular tag, which has a one-time fee of $60.00 plus an annual $25.00 fee. 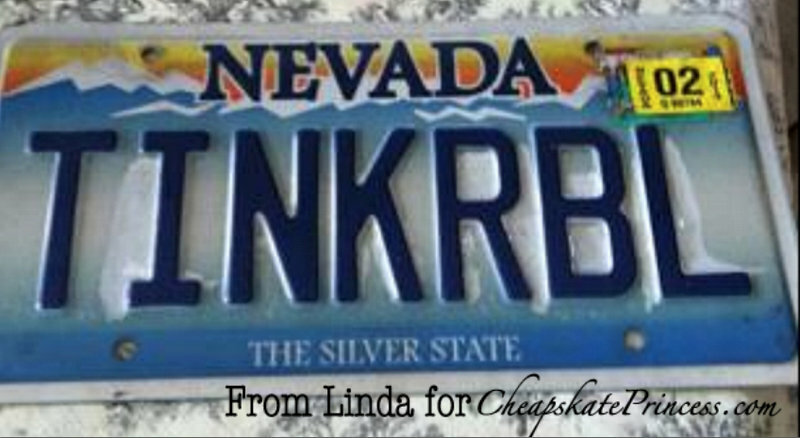 It’s interesting to note that in Colorado, they offer a “Columbine Plate.” This license plate memorializing the victims and survivors of the 1999 shooting at Columbine High School is currently one of the most popular in the state. 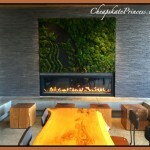 It features a columbine flower (the state flower) and the phrase “Respect Life” on a detailed mountain backdrop. 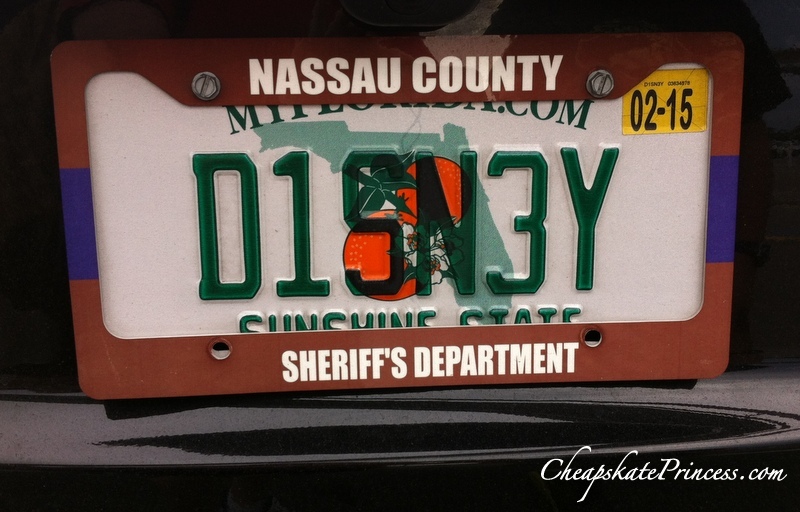 There is a one-time fee of $50 for the plate, in addition to standard registration and license fees. 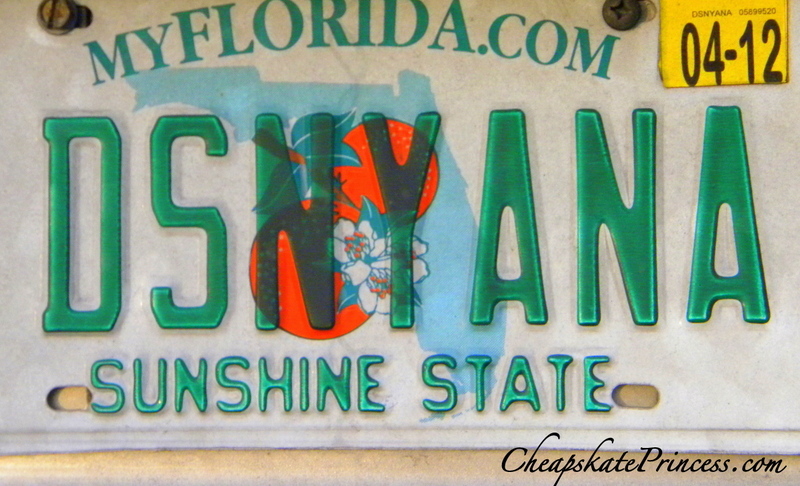 I thought that would give you an idea of how much the price of personalized license tags can vary from state to state. 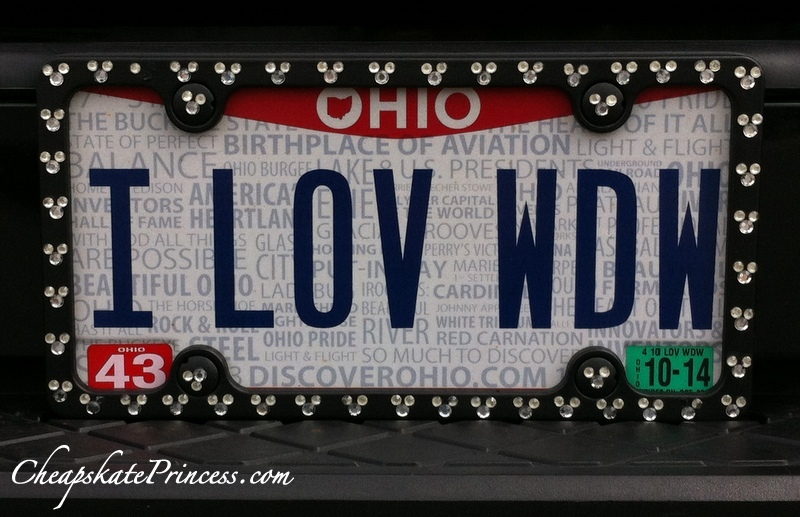 In Indiana, the cost to personalize your plate is $48 annually. 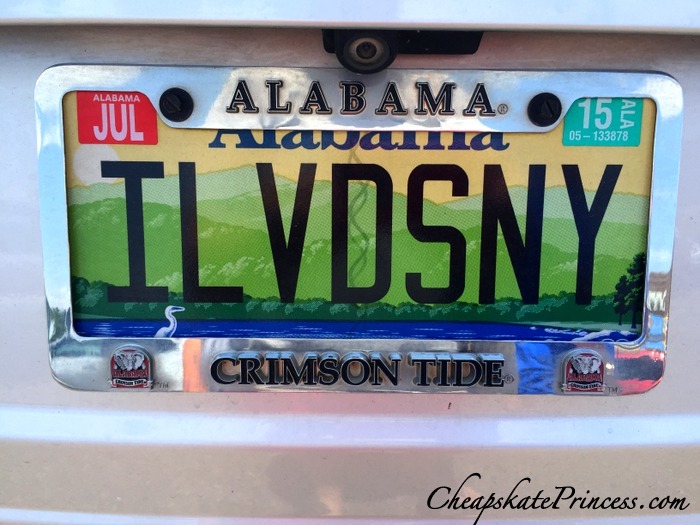 In Maine, to obtain and renew vanity plates, you will add an extra $20 in the first year and $15 extra in each subsequent year to your registration fee. 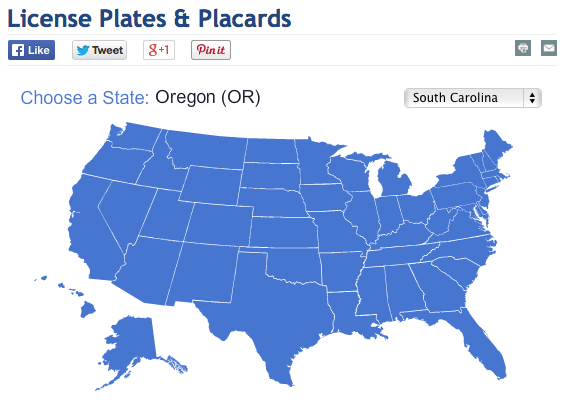 Oregon offers eight plates that can be personalized, with fees ranging from $112 to $154. 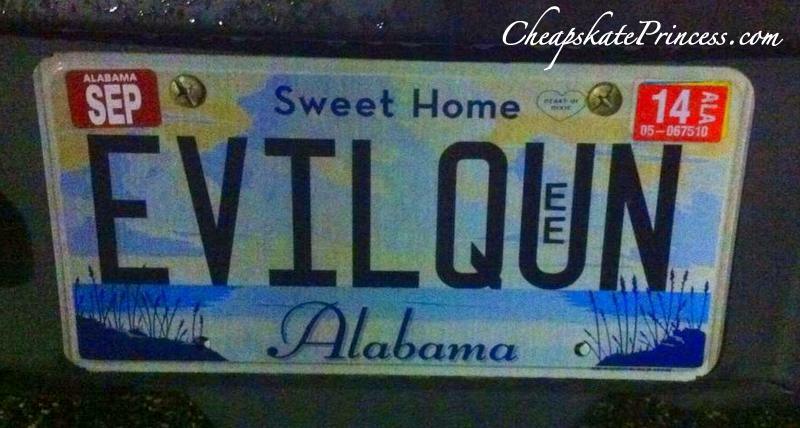 In South Carolina, you can also apply for a customized, personal license plate for a fee of $30. And remember, all states seem to require you first pay the standard registration fees based on your type of vehicle before you pay the fees for tag personalization. 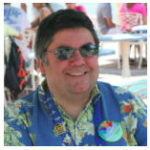 I found my information for these particular states at DMV.org. This private website, which is not owned or operated by any government agency, offers a very easy to use interactive map that looks like this. 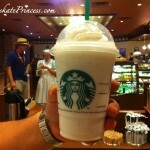 This is just a photo; clicking here won’t work – you have to use the link. 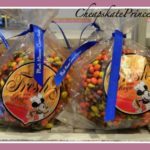 You simply choose your state, and then read through vast amounts of information until you find a price, or you will probably find a link to tag options and prices. 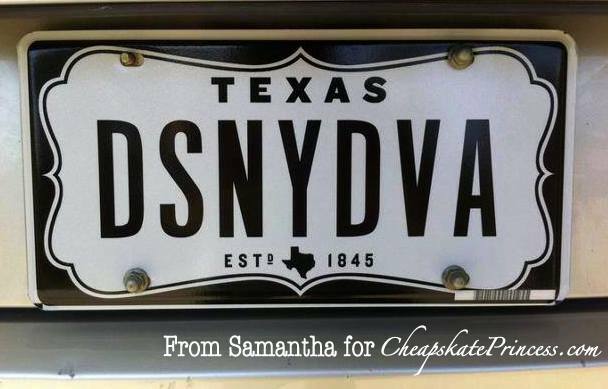 If you’re seeking a personalized vanity plate, DMV.org offers state-specific pages, provides the forms, and explains the fees. They detail how many characters your state lets you use and preview your state’s guidelines for avoiding offensive submissions that will be rejected. They even link you to the online availability tool if your state offers this handy feature; just type in the letter and number combination you want to instantly find out whether your choice is still up for grabs. 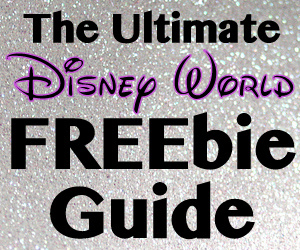 This seemed like a great resource for those of you who are serious about this Disney tag business. 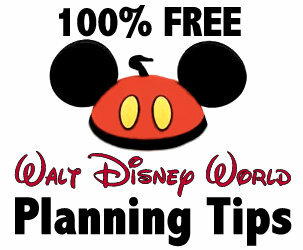 Use this link to go straight to the map page. 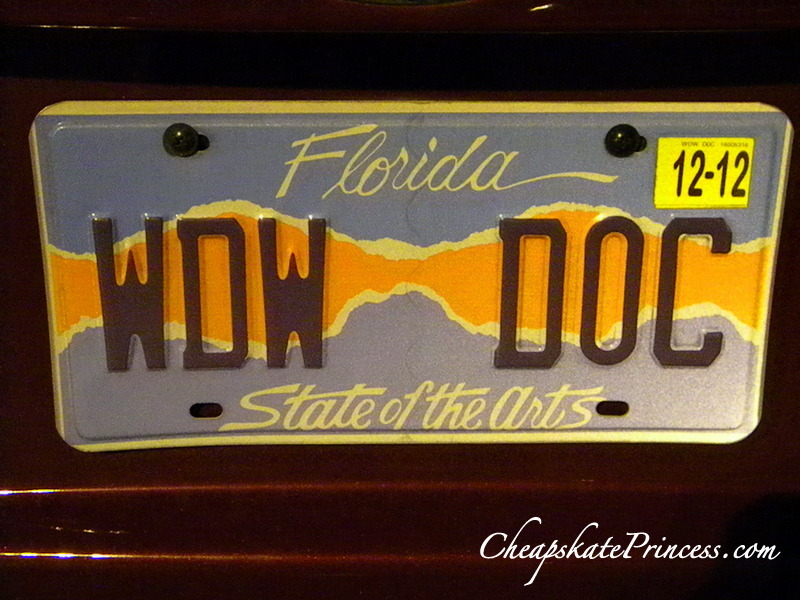 You may need some ideas on what other Disney fans put on their tags, so let’s get to some of the car tags we’ve spotted in the Disney parks and on the highways leading to Orlando. I have literally been collecting these pictures for three years, and we’re adding in photos sent to us from readers across the country. 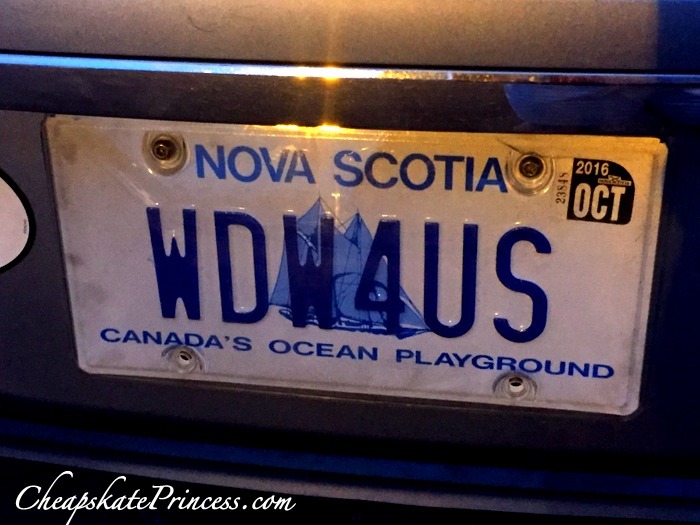 If you notice the sticker, this tag was from several years ago, but it could easily fit in with the Frozen Princesses of this year’s popular movie. Where does this doctor work? 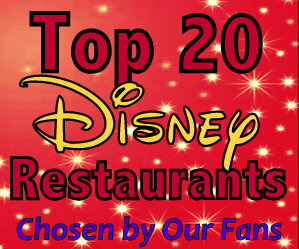 Disney, of course! 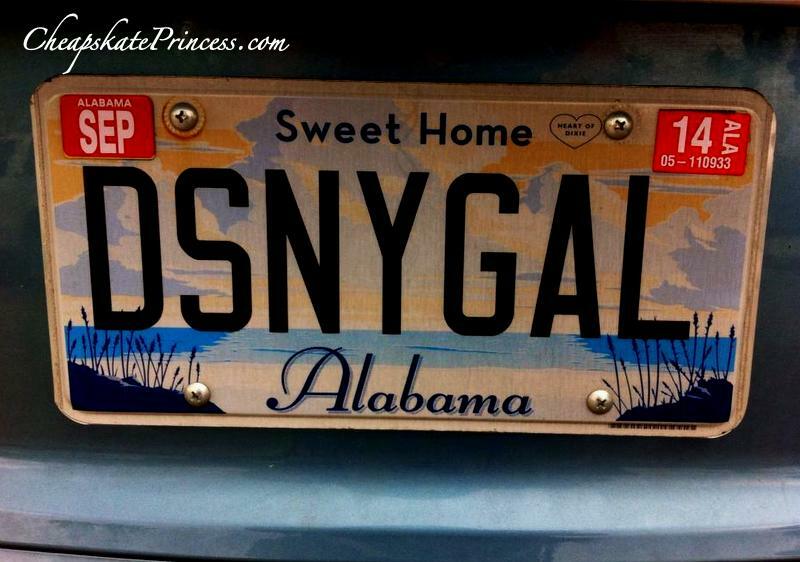 Speaking of Alabama, look who else lives there? And how funny they added their own letters. 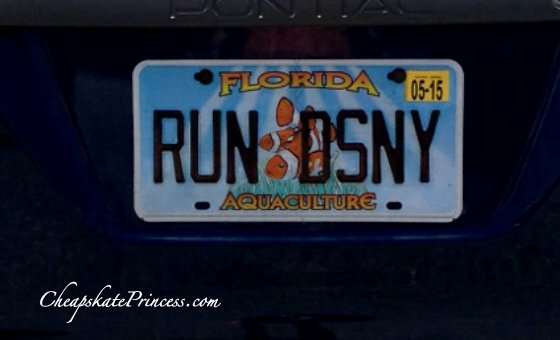 There are entire groups of Disney fans out driving around. 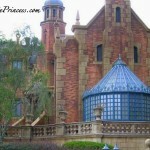 Where do half of Disney fans want to move? Hey, we all love Disney! 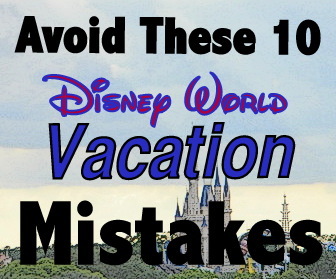 And of course there is just the untraditional spelling of the Disney name. 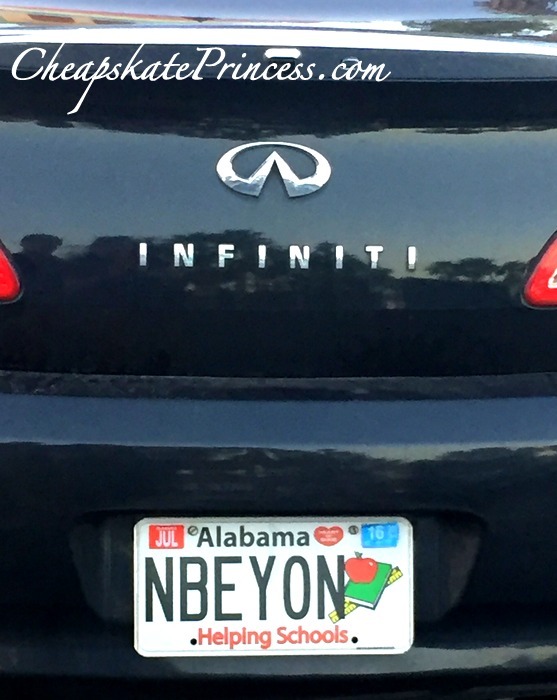 Look who was spotted shopping at the Bed Bath & Beyond in Alabama! My guess is “IP” stand for Important Person. 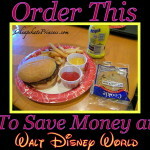 Samantha sent this in on our Cheapskate Princess Facebook page. 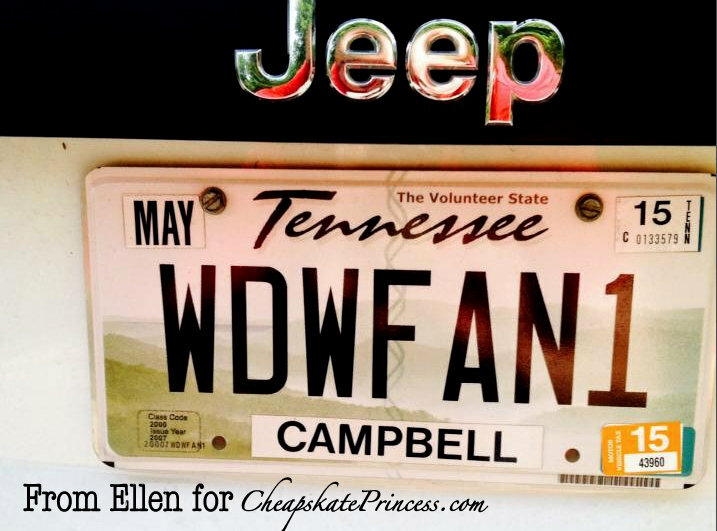 Ellen, also from our Cheapskate Princess Facebook page, said “Here is my personalized plates for my jeep. I love them! 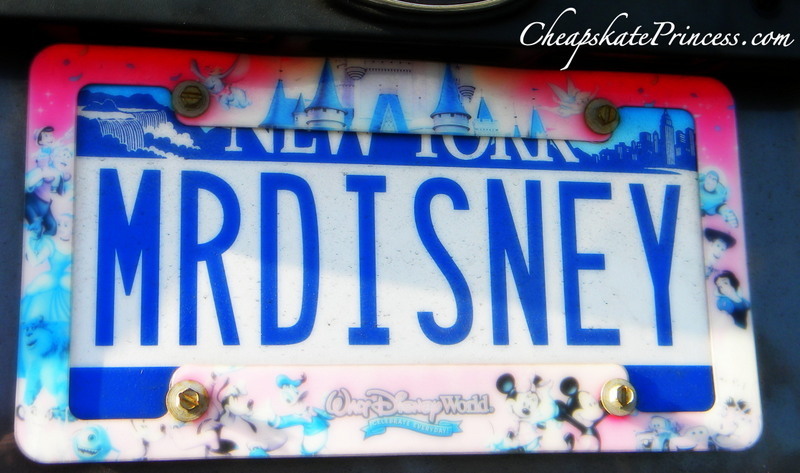 Margaret sent us a photo of her tag, “My hubby & I have had personalized plates for quite a few years. 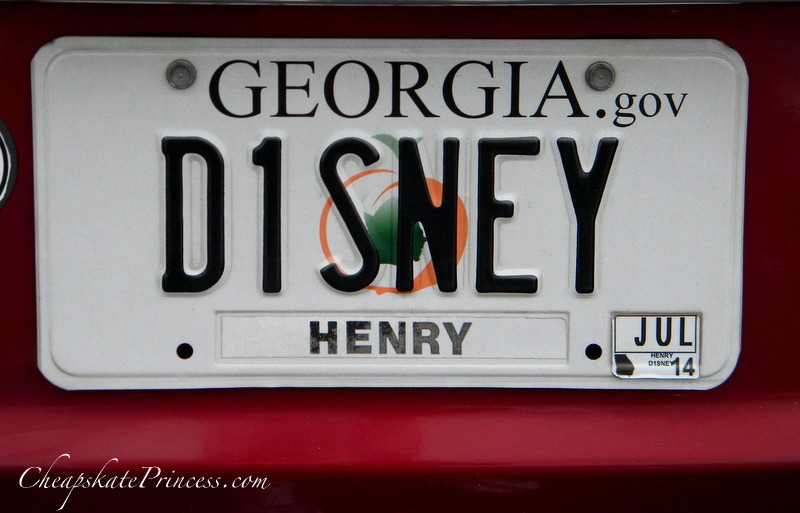 I changed mine to a Disney plate when we had to get new ones. 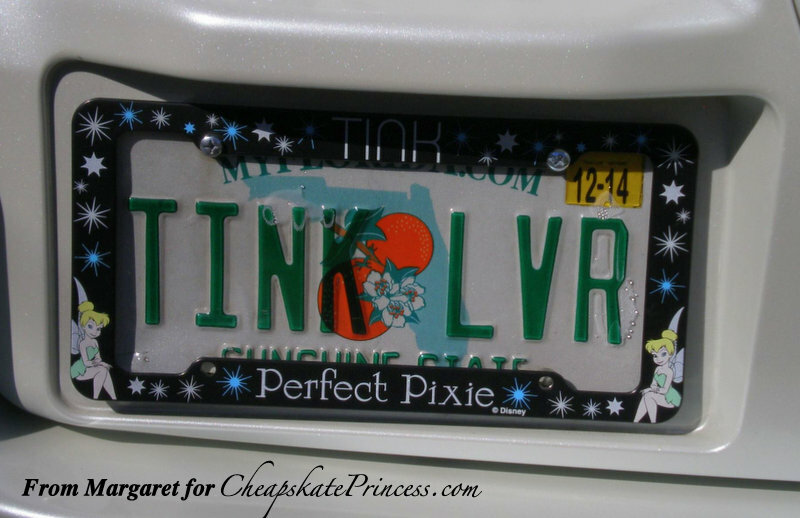 Add to this the big Tinkerbell on my spare tire cover, the ‘Tinkerbell Lover’ across my windshield, and a Tink with my initials on a side window, and everyone knows my car! 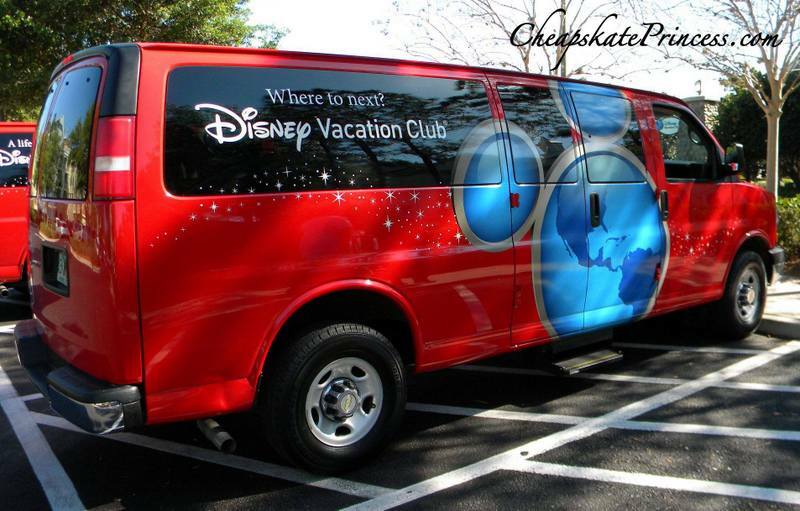 If you had a personalized Disney tag, it would be fun to have a van like this to put it on. 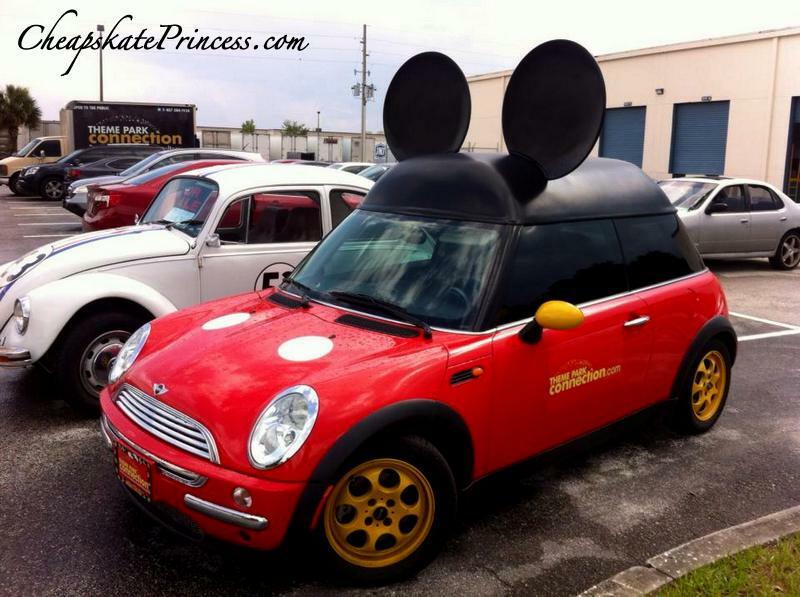 And then there is the ultimate Disney car. 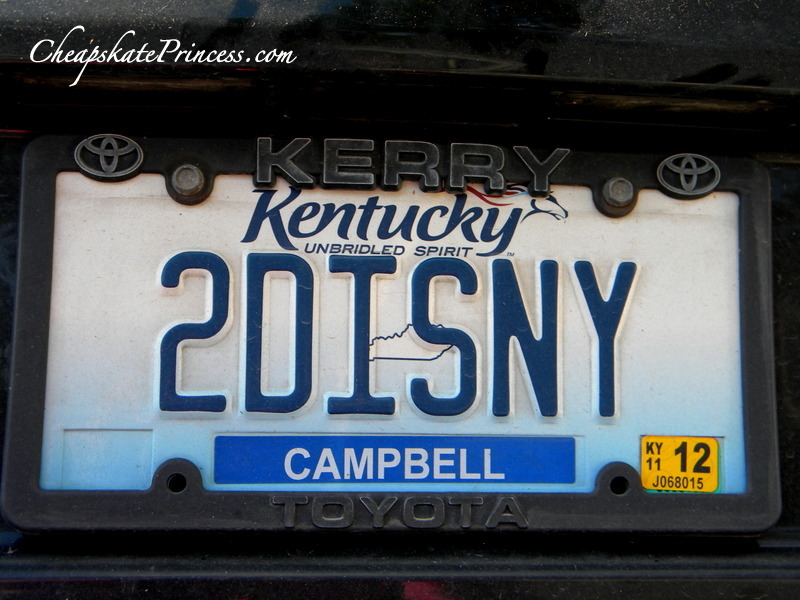 If your car had these ears, you probably wouldn’t even need a personalized tag. 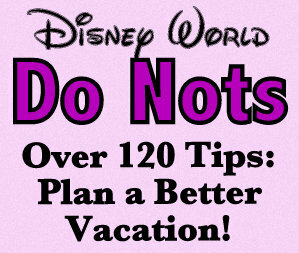 So there you go, another way to show the whole world how much you love your Disney vacations. 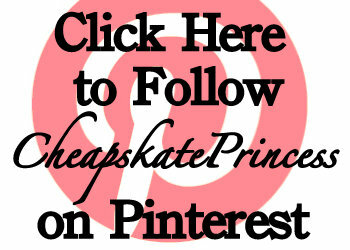 If you have a personalized tag you would like us to include, go to our Cheapskate Princess Facebook page and post your photo. 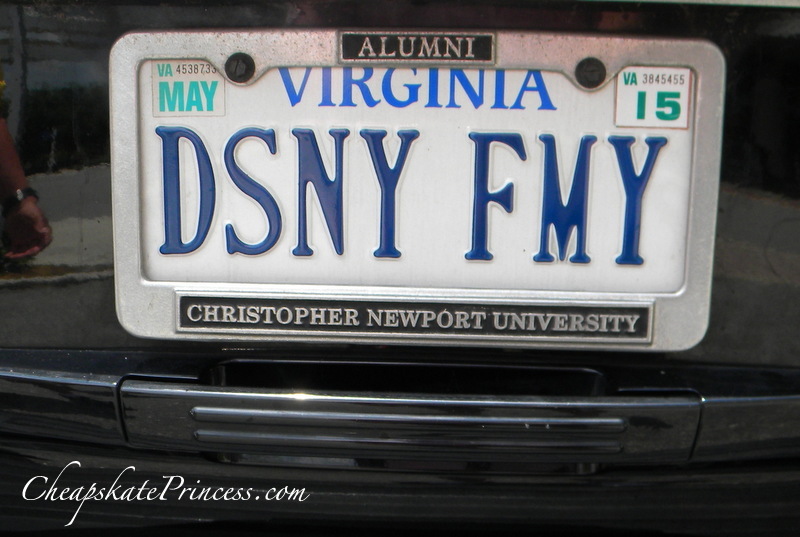 We would love to share your vanity plate and your story with all our readers.